My current WIP is different from what I normally write. It’s more character journey than plot exploration, so the turning points are softer and more emotional. To work with the softer nature and create tension and conflict, I’ve added more layers to evoke the necessary emotional responses from my characters. Mini arcs have been my go-to tool here. What makes the arcs “mini” and not full-on subplots, is that they’re focused on relationships and the issues associated with those relationships instead of self-contained plots of their own. They give my protagonist goals and drive without adding fluff or extra story to the book. It’s her life, and she naturally has things going on in that life. These things influence her decisions on the larger plotlines (such as the core conflict and character arc), but they're not major problems that distract her from those arcs. An individual mini arc might unfold over three scenes or thirty chapters, but each one gives my protagonist something to do, fully immerses her in the story and world, and gives me multiple options for creating conflict. The mini arcs weave through the main plotline and help my protagonist find her way through the emotional journey of the novel. In our everyday lives we interact with people. Family, friends, strangers, they all affect in various ways. Some of those interactions are quite impactful, while others barely make a blip. Sometimes, the smallest interaction can result in major repercussions. For example, one of my mini arcs covers the relationship between my protagonist and her best friend as they work on a school project. While the project is important to the story in a tangential way, it’s not something drives any major conflicts or plot arcs. But it allows these two important characters to interact and show how this relationship works, and that reveals elements that are very important to the plot. Put this to work in your own novel: Look at the relationships in your novel and decide what issues these characters are dealing with over the course of the novel. Any fights going on? Anyone working to plan a surprise party for a friend? Is anyone struggling with an annoying co-worker? See how the relationships might change the protagonist or situation and ripple through the novel in some way. For example, a fight with a jealous classmate could put the protagonist in the worst state of mind just before she must make the hardest decision of her life. That’s bound to affect her decision—and might even cause her to make a bad one. Some mini arcs illustrate the thematic nature of the novel, and the protagonist has friends or people in her life who are dealing with similar issues. They work as mirrors to show the various options (and consequences) she might face. For example, I have a small walk-on character who only appears for a few chapters. But he’s important because he shows the darker consequence of what could happen to my protagonist if she follows the same path he chose. He also does double duty by foreshadowing a later plot-vital event and puts a certain idea into readers’ heads. Put this to work in your own novel: Look for characters who can represent your themes or a facet of that theme. What problem are they facing? What are they trying to do in the novel that can touch your protagonist in some way? Who might be a good candidate to foreshadow a choice or consequence the protagonist will face later? Some mini arcs tie directly into the plot, but aren’t quite big enough to be subplots. Maybe it’s a character who needs to overhear a conversation, or a external problem that leads the protagonist to the clue that solves the whole mystery. Someone could ask the protagonist for help, and while the outcome isn’t important, the fact that they asked is, as it puts the protagonist exactly where she needs to be. For example, a family member plays a vital role in my story, and her actions heavily influence the plot of the novel. But there’s no true subplot with her—she just does what she feels is right and that has serious consequences for the protagonist and affects the core conflict. 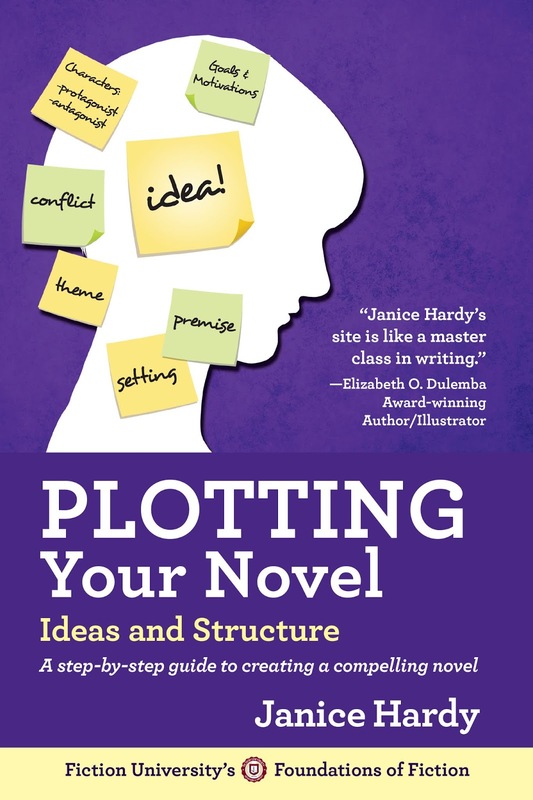 Put this to work in your own novel: Think about how other characters in the novel might affect the outcome of a main plotline. Does anyone influence the protagonist at a key moment? Are there choices made that would have turned out differently if this character had not been involved? Is there an important element you want to explore but suspect it’s not strong enough to be a subplot? However your mini arc affects your story, don’t forget the “arc” part of it. Three points make an arc, so you’ll want to have a beginning, middle, and ending for your mini arc. It can have more than three scenes of course, but an arc is something readers can follow and anticipate. Mini arcs can add richness and depth to a story. Have a little fun and brainstorm ways you can create a few mini arcs to your own novels. Do you have any mini arcs? Are there relationships or situations in your novel that would benefit from a mini arc? Thank you, thank you, THANK YOU! I am about 3/4 of the way through a literary novel which starts with a woman having a stroke. Of COURSE there is a story arc, but everyone in her family, and the woman herself, they all have mini-arcs! Like your story, it's really character driven. I have "mini-arcs" and they work! I've never had a name for it, and had begun to doubt myself. I am encouraged, re-energized -- I'm on the right track. Most welcome! I'm glad I could help you identify them :) That's my term for them, but I think it works quite well. Really enjoyed this post Janice just reading through my manuscript and thinking where I can go deeper. Thanks. Glad I could help. Hope you find lots of places.